When the British and Irish Lions were undertaking the daunting task of a tour of New Zealand two summers ago, Ulster legend Willie John McBride was understandably a man in demand. The former skipper has a special, even unique, relationship with the Lions and, as such, finds himself sought out for opinion whenever and wherever there are rugby players pulling on the famous red jersey. As Warren Gatland’s men battled to a series draw with the best side in the world, when McBride was interviewed for this newspaper he was finding himself enthralled by the action but fearing for the old touring side’s future. It was not, as he put it, a “proper tour”. In his day, when such things took months on the other side of the world, the volume of games was huge, facilitated in no small part by the pre-eminence afforded to the institution. There were no club concerns curtailing the touring schedule then of course, with McBride lamenting then that the money would eventually leave us with merely a Test series and nothing more. It’s a fear, along with many more beside, that was surely rising once again with yesterday’s seemingly seismic developments that will radically alter the game’s calendar. The proposals, a framework to which a World Rugby statement did not add anything by way of bricks and mortar, would reportedly see 12 teams – not the top 12, but a 12 – play each other once a year, with semi-finals and a final then deciding the overall annual winner. The Six Nations would be incorporated but otherwise unchanged, while USA and Japan, two potentially lucrative markets, would join New Zealand, Australia, Argentina and South Africa in the Rugby Championship. The prospect of no promotion and relegation – the certainty of which was questioned by World Rugby vice chairman Agustin Pichot in an apparent breaking of ranks – was the immediate and obvious hot-button topic. Essentially ring-fencing top-level rugby for 46 months out of every World Cup cycle would have huge ramifications for countries such as Fiji, Samoa, Georgia and others who have given so much to the game, often for little reward. Told to reserve judgement until the final proposals were known – even if the game’s leading players such as Johnny Sexton and Kieran Read were already making their feelings apparent – it’s the seeming abandonment of the Pacific Islanders that initially leaves such a sour taste. Elsewhere, however, on a day that produced a multitude of questions and few answers, there will have been concerns over what it all means for player welfare, the sanctity of the World Cup, the Lions, the future of the Six Nations on free-to-view TV, the tradition of summer tours and stand alone Autumn Tests, the scheduling of the Champions Cup and, lastly, interest in leagues such as the Guinness PRO14. International rugby, most specifically the Six Nations, is the prized cash cow, the top end of the game funding the slopes of the pyramid all the way down. As the game’s biggest economies, leagues in France and England figure to be able to weather the storm, helped further by the ratio of clubs to the national side. In a simple numbers game, seeing less of their national stars has less of an effect on the overall strength of the starting sides week to week. 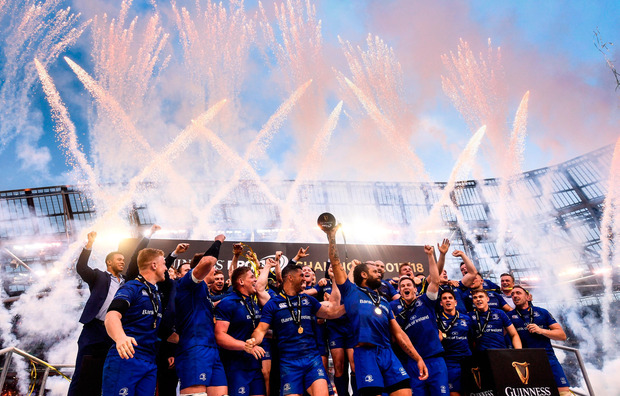 The PRO14, however, already battles for credibility when games are played in national windows, and more top-level Tests will unavoidably mean less time with their club sides for the game’s top stars. Ulster and Leinster will pack 51,000 into the Aviva Stadium for this month’s Champions Cup quarter-final when both sides figure to be close to full strength, but last weekend with their Irish stars away they shifted just south of 24,000 tickets combined for their two league games. Those two gates, by the way, were by some distance the biggest of the round for the league. There is never likely to be a hard and fast rule around such things but England and Lions star Anthony Watson was one player who has spoken out this year suggesting that the top stars should play only 20 games a year. It doesn’t take a math whizz to deduce that if the likes of Jacob Stockdale and Iain Henderson are to play between 11 and 13 Tests a season at a high intensity for Ireland, and the priority shown towards European competition sees them geared up towards lining out in the Champions Cup whenever fit, then outings in the league will become a rarity. In the case of the PRO14, where the practice of frequent shadow sides may appeal to the die-hard but offers little encouragement for the casual or new fan to buy a ticket, such a reality will only exacerbate a problem that has already been wrestled with for years. Time, at least we’re assured, will tell.